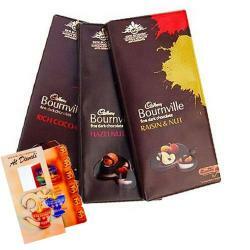 Product Consist : Diwali Card + Cadbury Celebration Chocolate Pack (Weight : 140 Gms) + Assorted Fire crackers (Worth Rs.300/-) (Note: Types of Fire Cracker are depends upon their availability no specific choice). 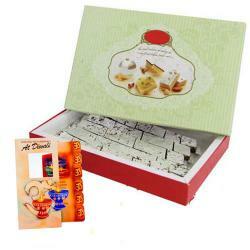 We have filled with trendy gift items for diwali gifting. 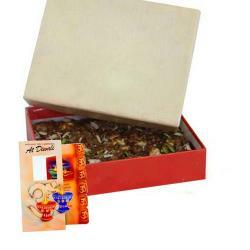 This fancy gift hamper contains one Diwali greetings card on which you can write down your deep feelings and wishes for your dear ones. Along with the card it includes a packet of Cadbury celebration chocolate which is a popular chocolate also have mix firecrackers. Lighting fire crackers and enjoying sweets are the best part of Diwali celebrations. 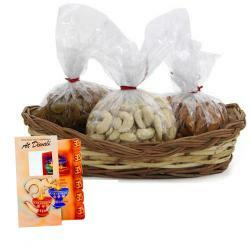 Send this flavorful hamper to your dear ones and bag love. 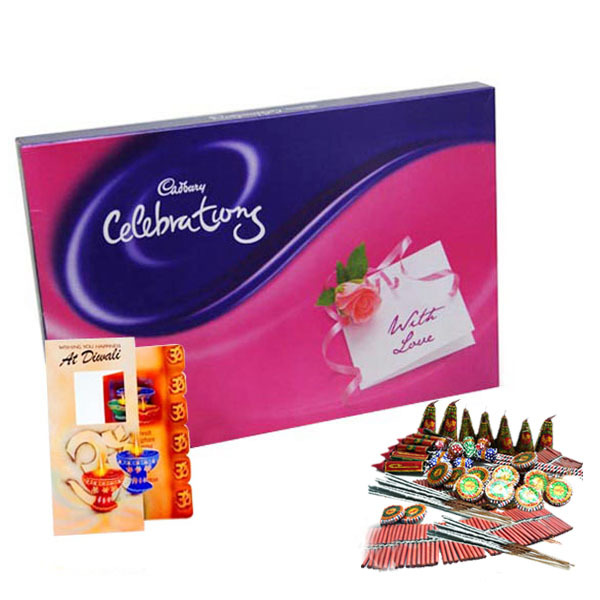 Product Consist : Diwali Card + Cadbury Celebration Chocolate Pack (Weight : 140 Gms) + Assorted Fire crackers (Worth Rs.300/-) (Note: Types of Fire Cracker are depends upon their availability no specific choice).